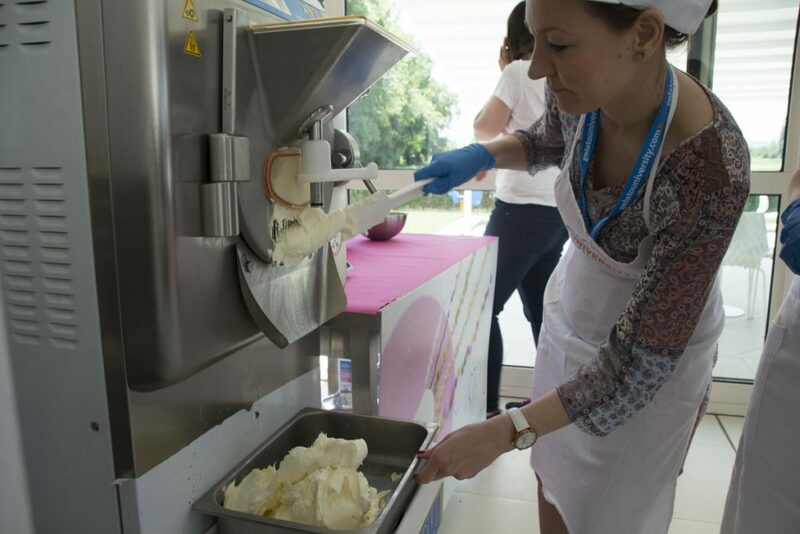 Fancy taking a gelato making class in Italy? 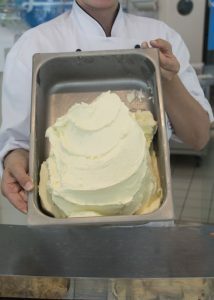 Carpigiani Gelato University in Bologna is where artisan gelato is made with love, care and skill. I looked down at my worksheet which was filling up with lot of numbers. Percentages. More numbers. Who knew making gelato required math skills? If I was going to churn out a decent Italian dessert, I’d have to concentrate better. Calculator necessary. Of course, I was sitting there dreaming that my first gelato would turn out amazing. So, I crunched the gelato making masterclass formulas our instructor, Eva, had just taught us all about. 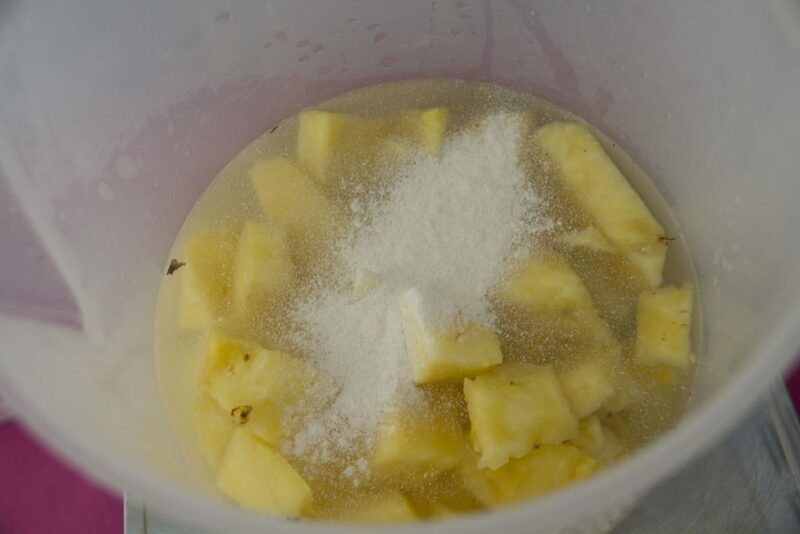 Soon, my good friend Timi (taking the course with me) and I had created our very own recipe for pineapple sorbet. We headed into the kitchen to gather the ingredients. I was in Bologna, the food capital of Italy, where Italian food is serious business. Everything is delicious here, from perfect pasta, quality wines to classic cold cuts. Exploring the city lead to a conclusion that even Bolognians assured me about: restaurants must be quality in a city of people who only accept quality food. While Bologna isn’t credited with the invention of gelato, gelato is very much loved in this city. The cold Italian dessert made from milk and sugar, and sorbet (which is basically gelato without the milk) is created here with a delectable silky lightness and incomparable freshness of flavor. No wonder gelato has become one of the world’s favorite desserts. 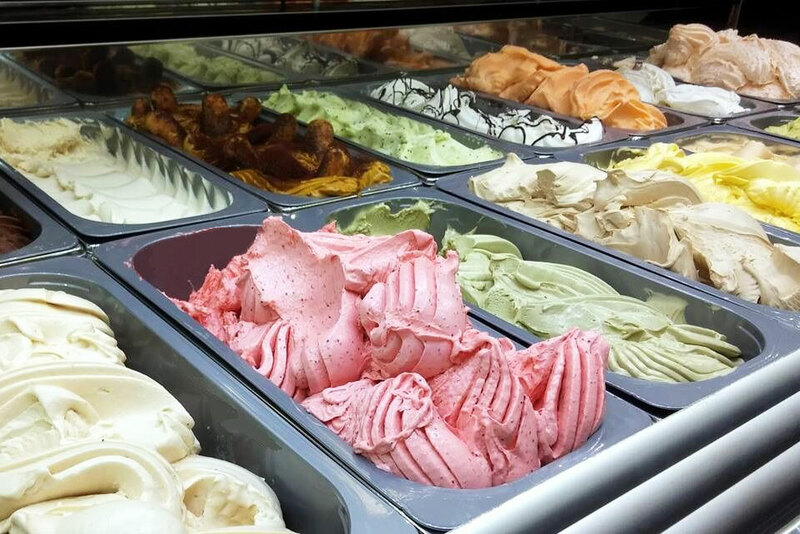 In Italy, artisan gelato is king. 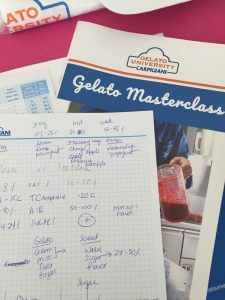 At Carpigiani Gelato University, the belief that gelato has a special worldwide cultural reach is part of what the masterclass was about. The school offers travelers and food lovers like me, a course in how to make it and understand it. First, we went through an insightful museum tour that took us to the very beginnings of gelato which involved flavoring snow. Yes, that was how it all started! Throughout time, gelato became a sweet and pricey treat across Europe. 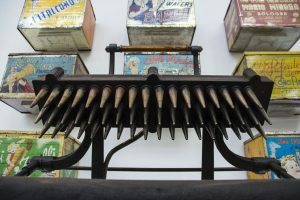 With the invention of machinery, gelato became a more common and affordable food. We took a look at all types of equipment, learned about the various techniques and how other cultures have adopted it. Cone making mold not a torture device! Got myself a new bike. 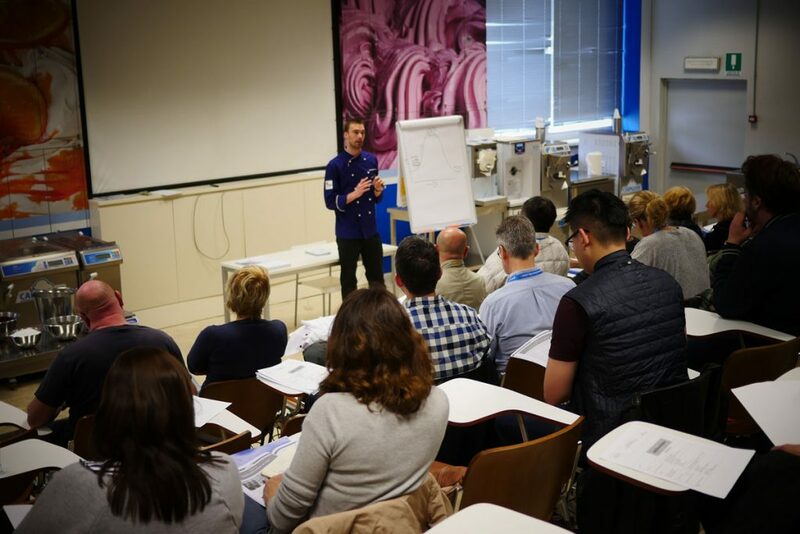 Back at the lab, donning Carpigiani aprons and hats on and plastic covers on our sandals, we rolled up our sleeves and stood in the midst of shiny metal equipment used by serious gelato makers. 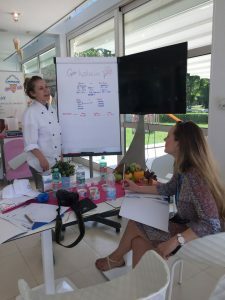 Carpigiani Gelato University helps those with a passion for advanced artisan gelato techniques become successful entrepreneurs. 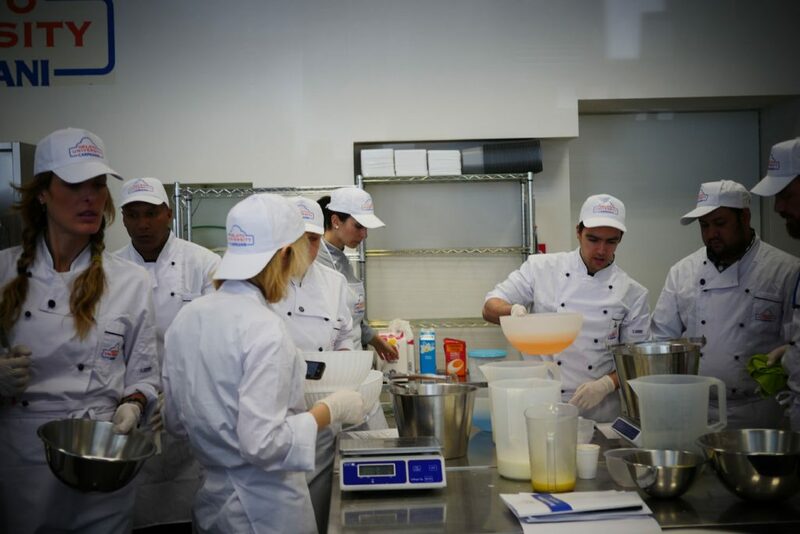 Artisans can develop flavors by taking customized courses. In the end, this kind of education sustains quality gelato shops everywhere in the world. Photos courtesy of Carpigiani. Artisans at work. I was just there to get through Artisan Sorbet 101. After those math lessons, I skinned a fresh pineapple and chopped it into juicy little pieces. We then measured the rest of the ingredients. Maybe I was a little too happy with the sugar and diverted from the formula, I wasn’t sure. Hmmm. 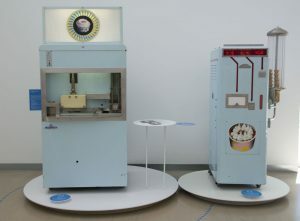 Next, with the use of heavy duty but easy-to-maneuver gelato making machines we trusted our sorbet equation would turn into a delightful artisan dessert. With every churn and chug the last machine bellowed and I anticipated how it would really turn out. The result? Pretty good! At least good enough to sell at Carpigiani’s gelato shop. Sure, the capable smart machines at Carpagiani helped us out – a lot – but our formula was the groundwork from start to finish. We graduated with smiles, a memorable Italian food experience and smart sorbet knowledge that will last a lifetime. 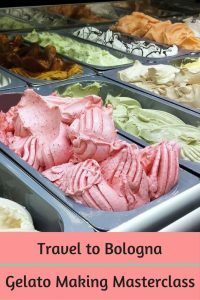 The Gelato Museum and the Gelato University are two ideal Bologna travel experiences suited for any dessert lover. 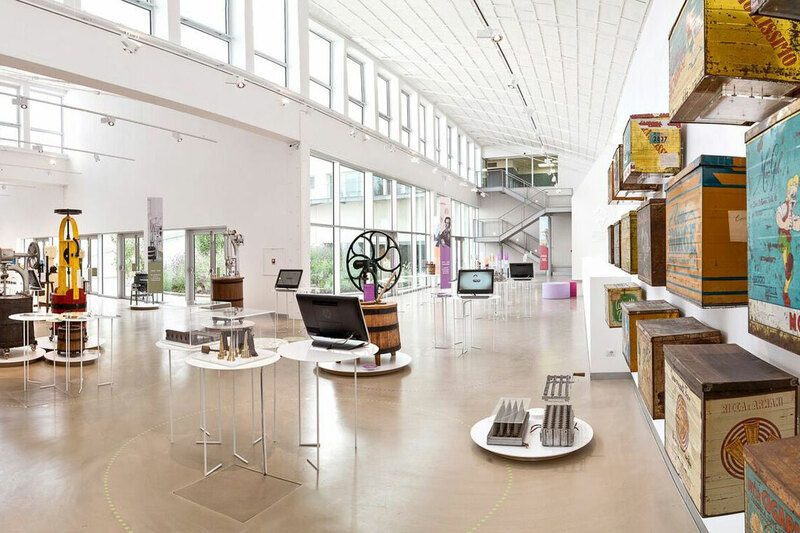 You can choose a visit to the museum or just the gelato making class — or both. I highly recommend the gelato making class, even if you never made gelato in your life. You can customize your experience if you have more knowledge. 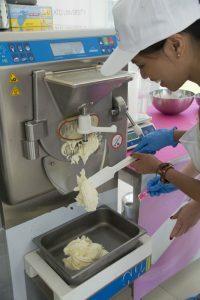 At the end of the day, you’ll have accomplished something very unique in Bologna – the making of your own gelato recipe in the country gelato was born. This July the Gelato World Tour European Finals will be taking place at Carpigiani. 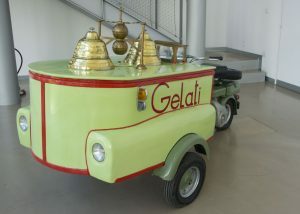 For my readers in Greece, you’ll be proud to know that two gelato shops from Rhodes will be competing! Check out these flavors: Salted Caramel Peanuts by Dimitris Charalampous from the Palladion (Rhodes) and Pastolato by Vangelis Iliopoulos from the Gelato Punto (Rhodes). 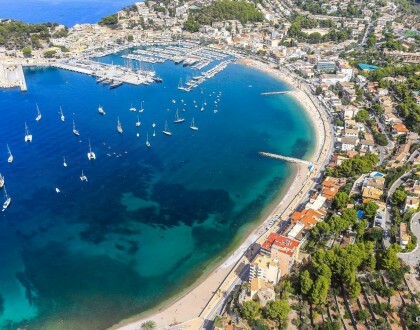 Seems like Rhodes island is the gelato destination in Greece! Stay tuned to see who will win this international competition. Don’t miss a post, sign up for my bi-monthly newsletter here. For more about fantastic Bologna, check out my earlier post: 15 Things I Learned in Bologna in 5 Days. Do you love gelato? 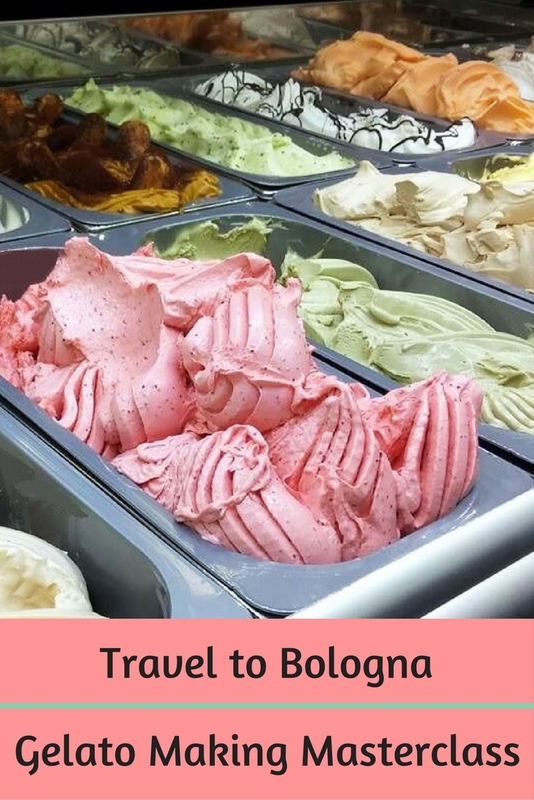 Would you love to travel to Bologna to sign up for a gelato making class at Carpigiani Gelato University? Thanks, Charles! Yeah, it was pretty good! !